When Jim takes the stage, audiences know they're in for a treat before the first song is over. 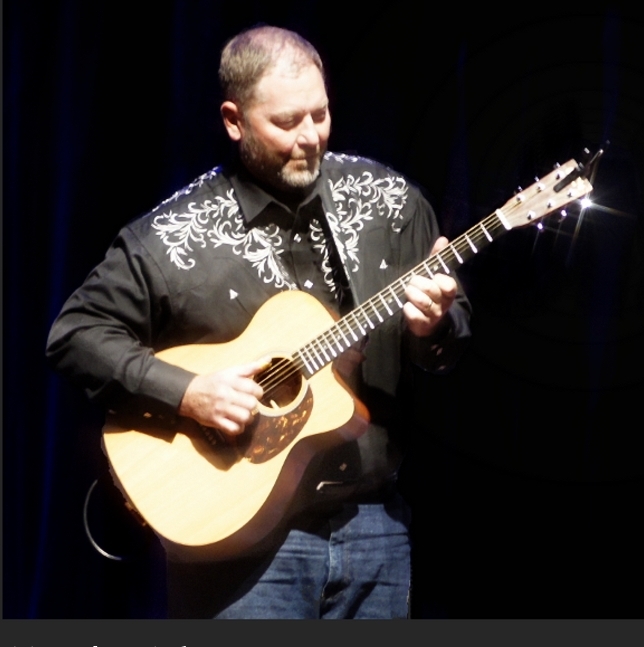 His infectious love of the guitar is evident in every arrangement, whether playing an original or covering one of his heroes, including the likes of Chet Atkins, Merle Travis and Jerry Reed. Jim got his first guitar at the age of six. His ever evolving fingerstyle technique produces an exciting one-man-band sound which he applies to a wide range of songs from gospel to country, pop, classical and bluegrass. He rounds out his sound with alternate tunings and blistering banjo-style rolls that leave listeners looking around for "the other guitar player"
In addition to performing and recording, he is also a fingerstyle instructor for JamPlay.com with thousands of students in over 50 countries and recently won 2nd place in the 2011 Utah State Open Fingerstyle Championship.